Hi there. i just signed up for an account, but I am hitting an error when I go to log in. I am attaching a screen shot of what I am seeing. I have also tried firefox. Sorry you have had trouble – thanks for that screenshot and the error details. If you are sure you are using the correct credentials, the most likely cause of this issue is a slow internet connection or a problem with your Adobe Flash Player installation. You may also wish to reset your password and try again. Please also ensure that you have the latest Flash Player installed (and, if necessary, enabled in your browser), then restart your browser and try again. Quick follow-up: I have escalated this issue to our development team and they will post here with any further advice or questions. 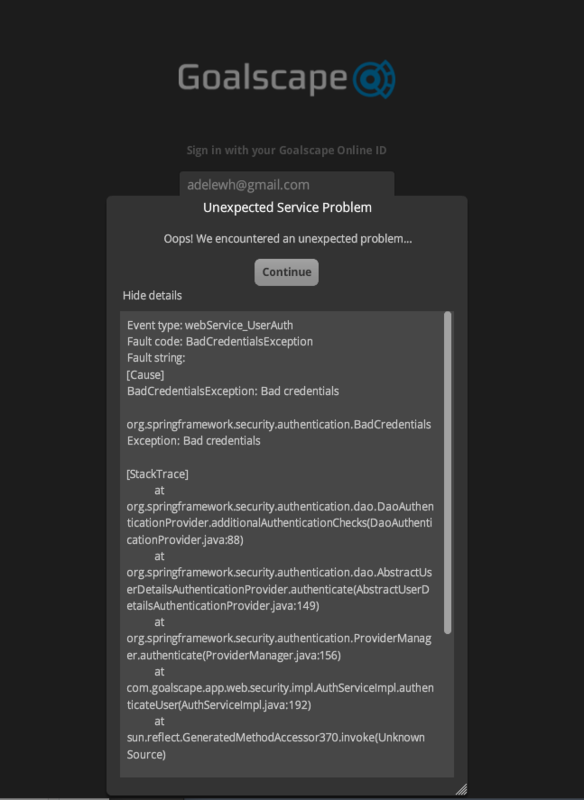 we're sorry that you experience this unexpected service problem..
As we found out it's a problem on the server that occurs when you try to sign-in using wrong credentials. So please make sure you're using the right username and password. Please let us know if that solves your problem..
Richard Parslow closed this discussion on 23 Oct, 2018 11:04 AM. Richard Parslow closed this discussion on 23 Oct, 2018 09:19 PM.